You already knew Beyoncé was fresher than you, but it turns out she's got more chill than you, too. In a new interview with Rolling Stone, Bruno Mars revealed what Beyoncé's was doing right before the 2016 Super Bowl: eating a bag of Cheetos. Of course, it's easy to get distracted by the thought of Beyoncé, the Queen that she is, just laying back eating the neon orange snack. It's hard not to get bogged down by the missing details, and all the questions that arise from Mars' story. Were these Cheetos Bey was snacking on puffy or crunchy? What flavor did she choose? Did she use a napkin or just lick that powdered cheese right off her fingers like a true boss? To focus on all these questions — as important as they may be to our imagination — is to lose sight of what is actually the best thing about this story: her true sense of confidence. "Me and Beyoncé were both working on our diets, stressing out," Mars said "Then the day before, we're watching playback backstage, and she's eating a bag of Cheetos." He admitted he was surprised and asked her what she was doing. No surprise, her response was a perfect one: "There's nothing more we can do these last two days. It's gonna be what it's gonna be. So I'm gonna enjoy this bag of Cheetos." So wise, Beyoncé is. 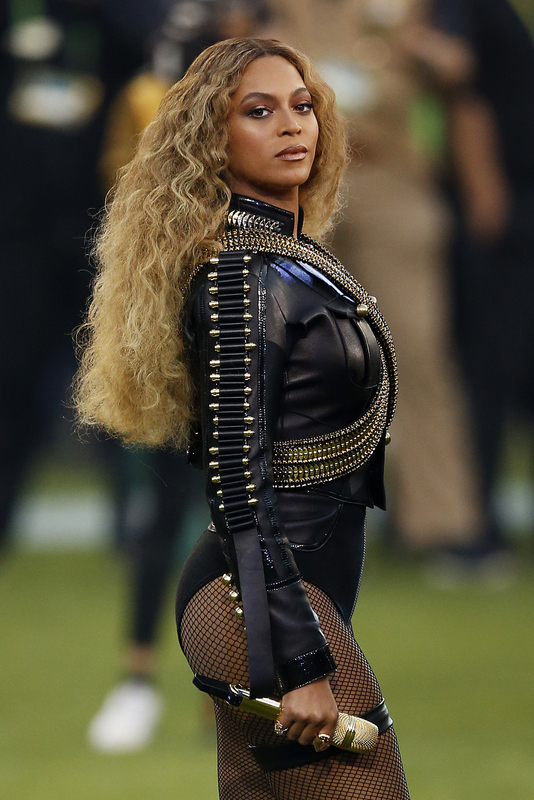 The fact that Beyoncé decided to just say, "F*ck it, I'm going to eat some Cheetos" is pretty empowering. Not because of the Cheetos, but because it exudes a sense of power that women don't often get to show. Confident women are too often perceived as arrogant. Being good at something and knowing it boils down to being thought of as conceited or stuck up. (Just ask Hillary Clinton, she'll tell you all about it.) Beyoncé knows what she's doing up on that stage. She's a master of her craft, so there's no use over-thinking it. She was prepared and ready to go. She just needed to take a minute to remember that. Nerves are totally natural, but, when you're good at what you do, in the end, you don't have to second guess yourself. And Beyoncé, well, she's good at what she does. "She's not f**king joking around," Mars told Rolling Stone. "She's going to get onstage and show everybody why she's the best every single time. She's got that monster in her." Sometimes that monster needs to eat, but more importantly, that monster knows who it is: a female who is strong as hell. Now pass the damn Cheetos.